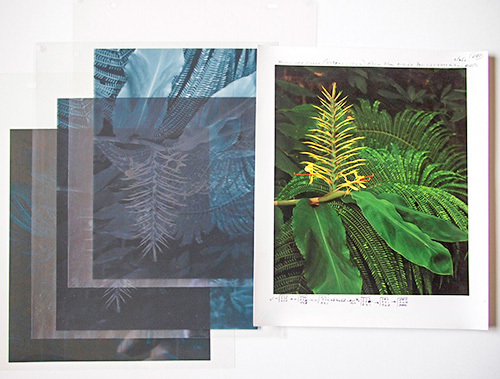 On Feb. 12, renowned photographic printer Ctein will begin the sale of about 280 of his dye-transfer matrix sets, according to a post by Mike Johnston at The Online Photographer. Each set of three negatives also includes a work print marked with printing notations as well as article explaining what they mean. A Ctein Matrix. With marked-up work print. Courtesy of Ctein. The matrixes became "of absolutely no use to me," Ctein explained when he dismantled his darkroom last year. He asked for suggestions about what to do with them. Long and short: in response to his query, enough people said "I'd buy a set, if they aren't too expensive" that he decided his first step would be to offer the sets here, for a nominal price. So those who want a set can have one. Details of the sale will be revealed in Ctein's regular Wednesday column at The Online Photographer but Johnston said the sale would run for five days at most or until the sets are sold. For more information see Announcement: Matrix Dump! at The Online Photographer.